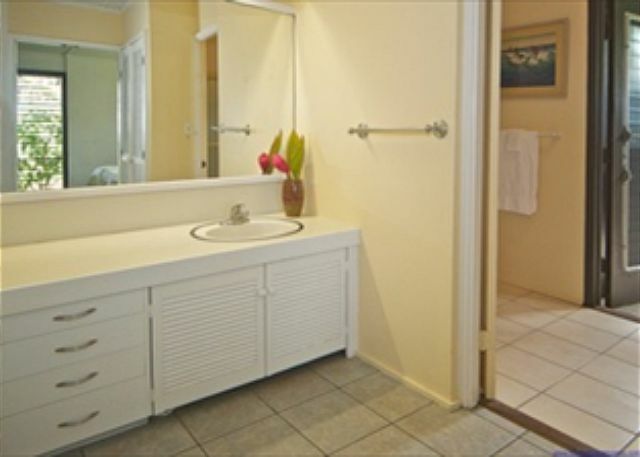 Directly Beachfront | Country Cottage | Last Min Special $165! 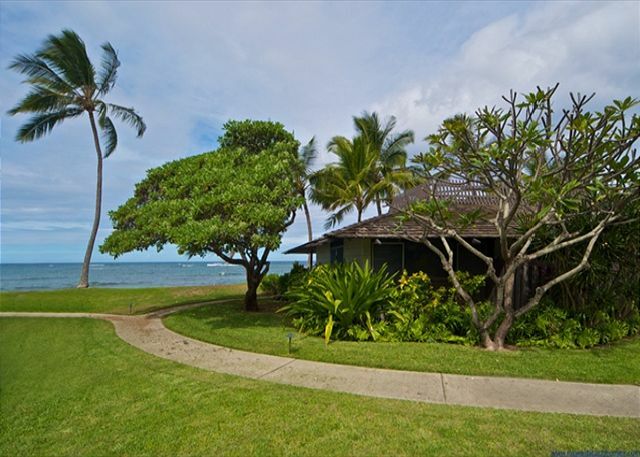 Of the 26 charming duplex cottages in the gated Mokuleia Beach Colony, only five actually face the ocean; and this is one of them! 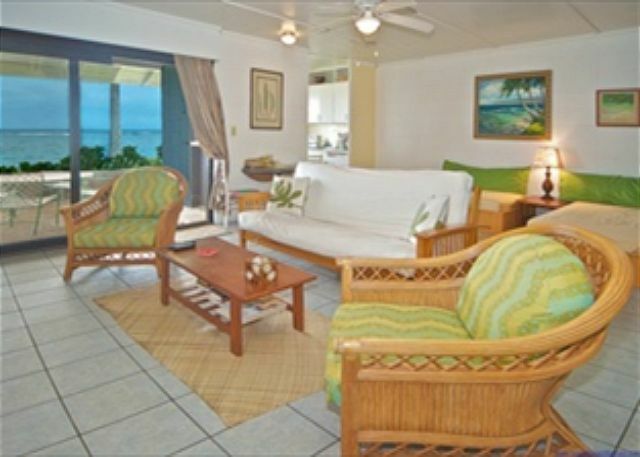 You’ll wake to the sound of waves, sit on your open lanai and see nothing but aquamarine water and morning sky. 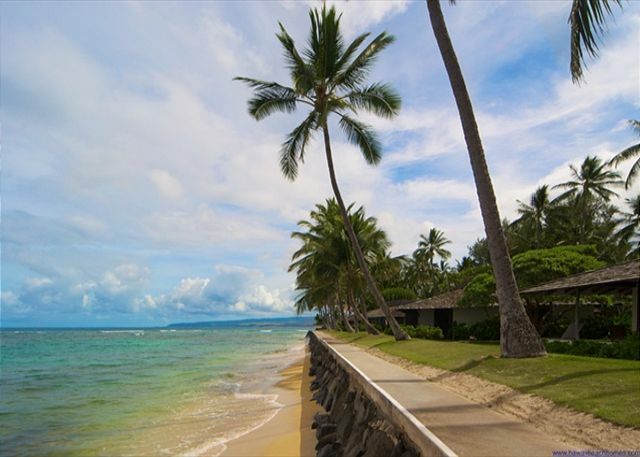 The ocean is right there in front of you, just a few steps away. 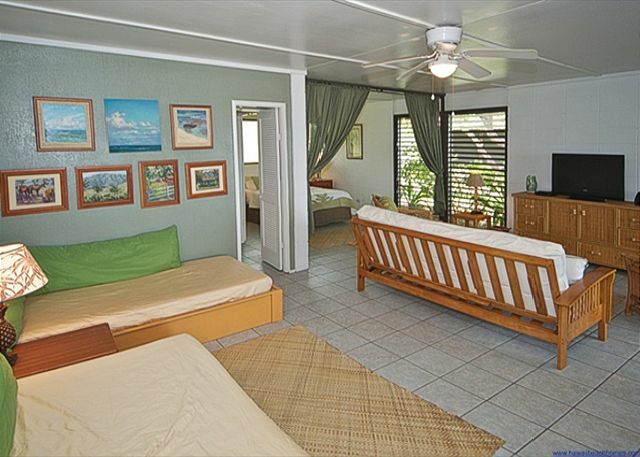 This beach bungalow was designed in the 1960s and has been decorated by a Hawaiian-born artist, whose paintings of the Mokuleia ocean, sky and landscape hang on the walls. 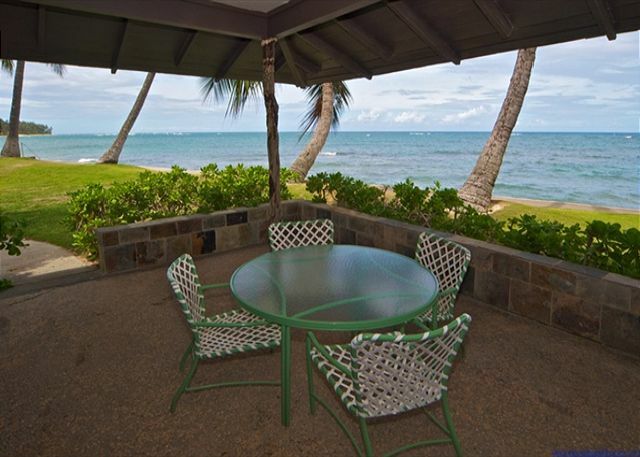 The Sand Dollar Cottage offers a stunning view of a beach that stretches for miles in either direction; ideal for swimming, walking and snorkeling in the coral reef. You rarely see anyone and have warm water, day and night! 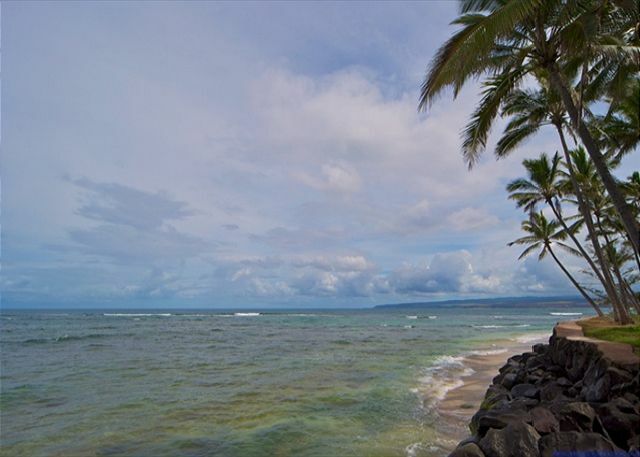 A twelve minute drive down a country road will take you to the famous surfing town of Haleiwa; where you can dine in one of the many restaurants and shop for clothes, local art, shave ice and fresh fish, steaks and produce. 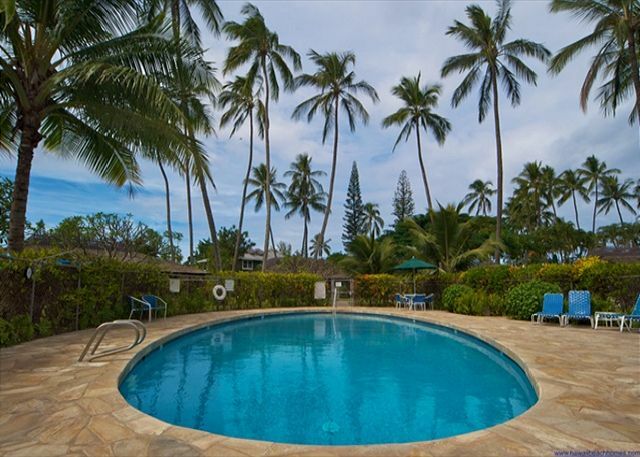 The Colony has a beautiful guest-only pool and five minutes up the road towards Ka’ena Point, there’s kite surfing and skydiving. 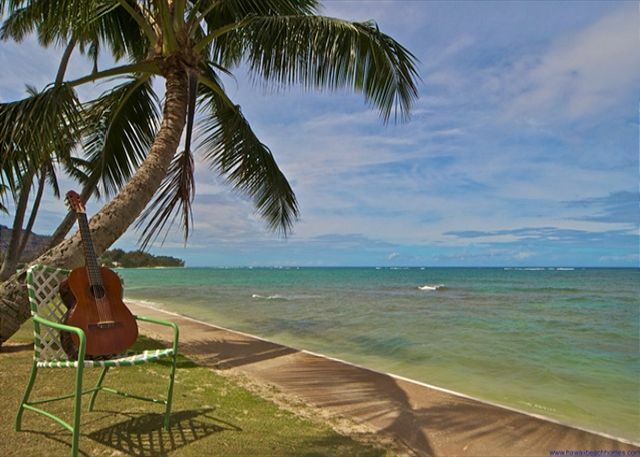 Aloha to all of our longtime guests. Wanted you to know we spent a couple of weeks in March renovating and restoring 13B. It needed it. You'll find a new kitchen: counters, cabinets, sink, faucet and a new glass-top stove. We also painted the unit, put in a new, higher vanity, sink and faucet, and new outdoor lighting. We restored all the louvers and jalousies that needed it and even added a more powerful modem for better WiFi. We left the ocean view and sunsets alone since no one could improve that. Smoking strictly prohibited at Mokuleia Beach Colonies, both indoors and outdoors. 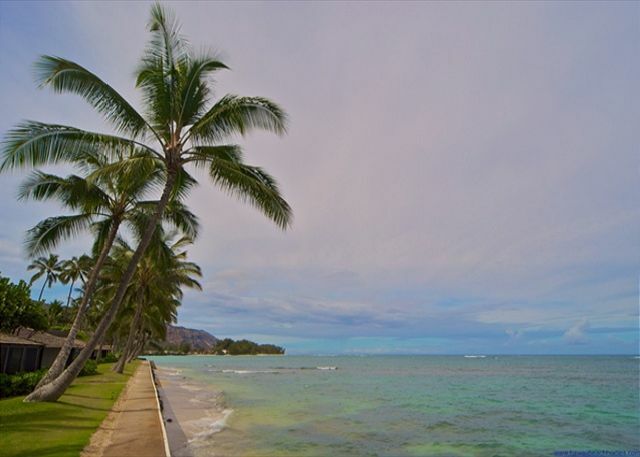 The State of Hawaii prohibits smoking in public parks and at all beaches. There are no areas near the unit designated for smokers. These bans include e - cigarettes. Wonderful Unit and fabulous location. 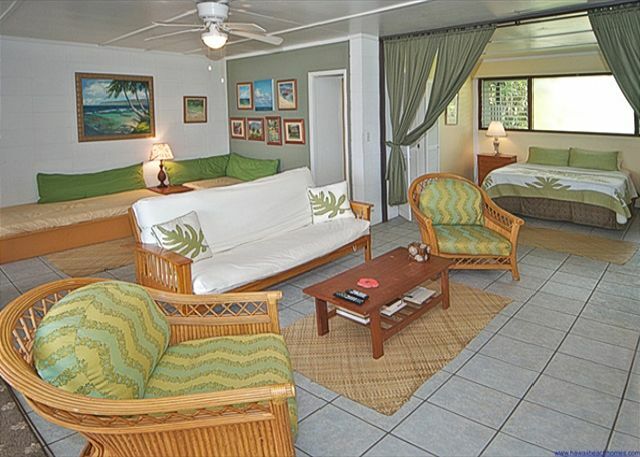 Manager Response: Mahalo for your kind review, we are so happy you had a good time at our cottage! Our family of four loved our stay at the Sand Dollar Cottage. We had a late arrival, and it was a little tricky finding our way around in the dark, but a call to Hawaii Beach Rentals was very helpful. The view from the cottage is amazing, just feet from the ocean. We spent a lot of time on the patio every day, and had the pool to ourselves every time we went. The grounds were like a botanical garden, just beautiful. Loved everything about it, right down to the friendly geckos! We stayed for a week and had the Time of our lives. We ended up skydiving after watching them jump every day. The rental was clean inside and out with all the amenities you need. The view at night was perfect, and we seen numerous shooting stars. Our vacation, For my Wife's Birthday was incredible at " The Sand Dollar" !This cottage, "one side of a duplex" right on the ocean is fantastic! 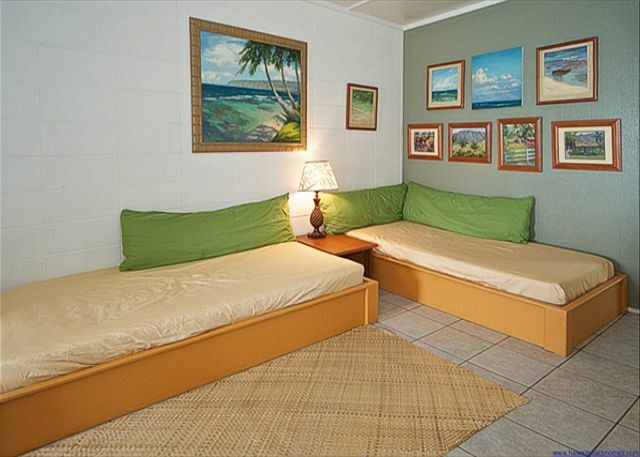 Vary enjoyable , because it was so relaxing and yet the sounds of the pounding surf lulled us to sleep at night. Because it's location is so far from any city lights , the stars you can see at night were awe inspiring as well. 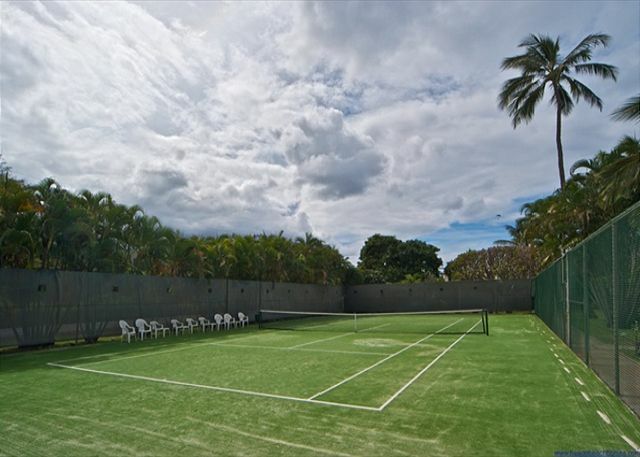 The property is in the midst of several duplex units with winding sidewalks, with mature flora & fauna all around. The aroma of flowers was so intense !!! The interior was simple but comfortable. We found the kitchen adequate with coffee maker, blender, pots& pans , utensils o.k. We needed a cutting board, not found. The BBQ grill was small and in need of replacement. we also needed more linens , One set of bedsheets and bathrooms towels is a big negative. There is a coin laundry on the property at the other end in the management office. 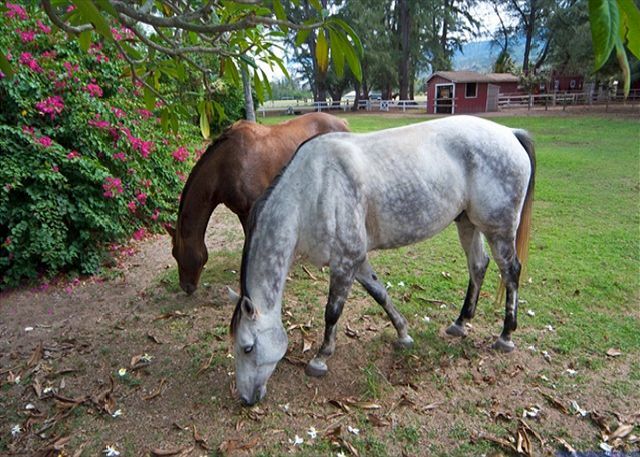 The horses at the polo fields next to the property were fun to watch as well.Over all we were very pleased with the property and location! It is within 20 min. of all the neat stuff on the north shore. we will be back!! The property mgt. team was vary helpful with all our needs, and made our experience vary comfortable!! If you want to get away from all the commercial crazyness of big city lights. The Sand Dollar is the place!!! Aloha & Mahalo ! Awesome location. 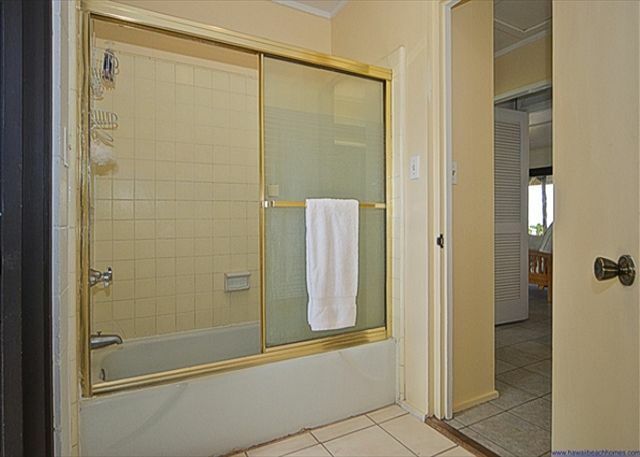 The unit needs a little TCL but the location more than makes up for it. Was a little hot with no A/C in the summer but sitting on the luani with the ochen right there. WOW!!! 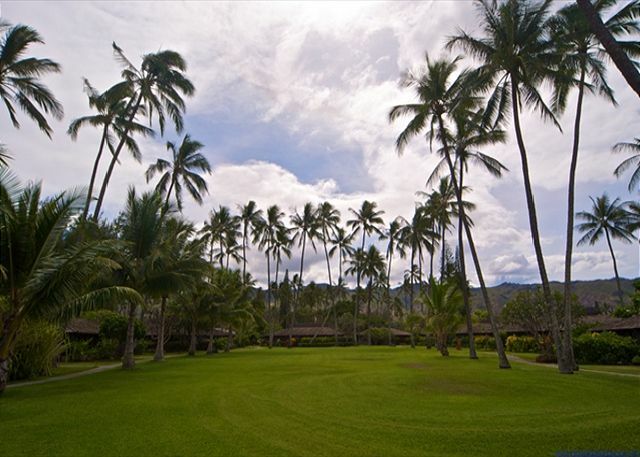 Wonderful services Hawaii Beach Homes! We stayed 8nights. Your services were wonderful. Very quick action! We were really satisfied with your service! 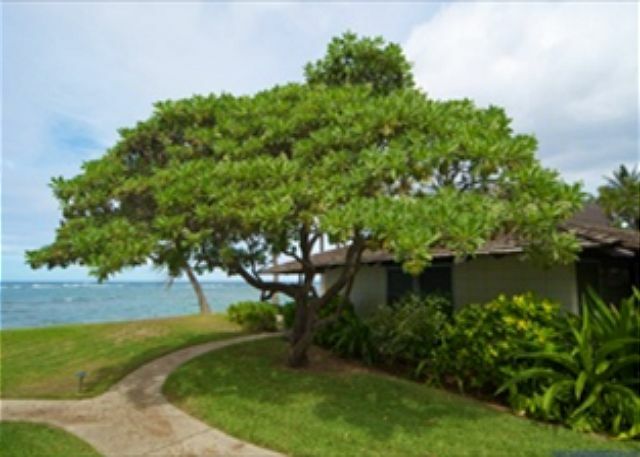 We certainly reserve next vacation Hawaii Beach Homes. We had a wonderful time. The cottage really is right on the water, and we made good use of the facilities. Only draw back for us was no AC, because it was in the 90's during our stay. 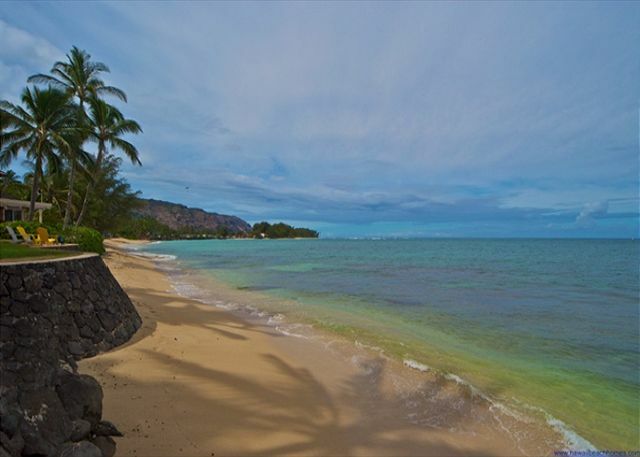 Amazing peaceful location right on the beach! Sleeps 3 comfortably. 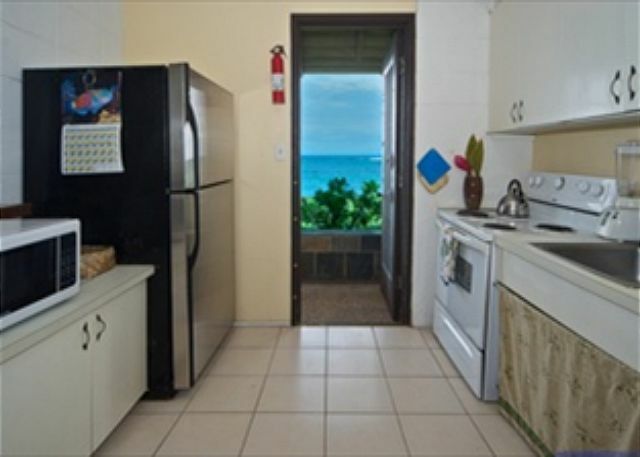 Great kitchen, bathroom & facilities. 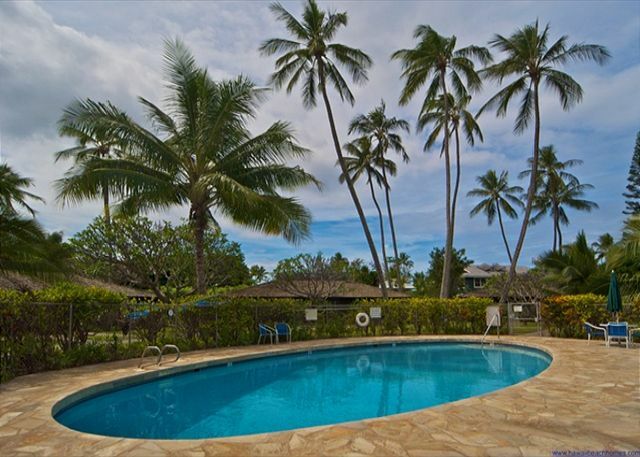 Comfortable & an easy 30 minutes from Waikiki / Honolulu. Lots of things to see & experience on the north shore t. Awesome location for those looking for a place to rest after a big day exploring. BYO all food including condiments, foil wrap etc but great cooking facilities. Door is a little tricky to open but do it before it times out. Loved it! Great stay!